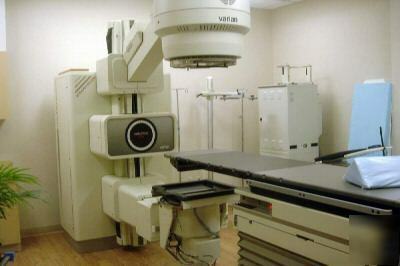 and other RADIATION THERAPY CENTERS IN THE U.S.
Unit has been serviced and fully maintained to manufacturer specs by trained in-house biomedical engineers. Available for inspection prior to deinstallation. NOTE: If your hospital or medical center has any Imaging, Diagnostic, or Radiation Therapy equipment which must be deinstalled, Farber Science Services is available to meet your institutions' needs for planning and removal of surplus equipment.